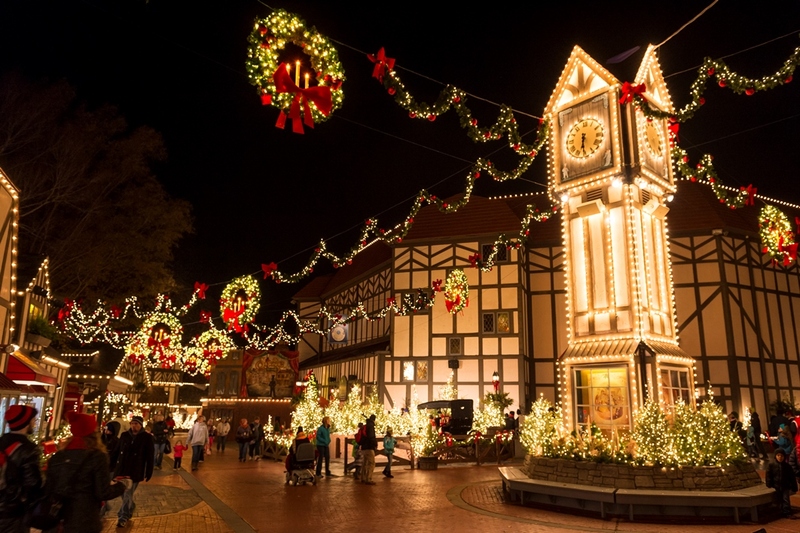 Tis the season to attend Busch Gardens® Williamsburg the most favorite time of year decking the halls at Christmas Town™! The annual yuletide celebration begins a week early, Nov. 17, and runs 35 days through Jan. 5. Christmas Town is celebrating 10 magical years, the family-friendly holiday event offers more than 10 million lights, an all-new Christmas Town Express holiday-themed train ride experience, festive food and drink, unique holiday shopping and heart-warming shows to make the spirit of the season come alive. Busch Gardens gives you one of the best ways to celebrate the Holidays. Come to see what’s new for 2018! Santa’s Fireside Feast – Christmas Town offers an assortment of special dining experiences, including Santa’s Fireside Feast, where Santa recounts a classic Christmas story while elves prepare a scrumptious all-you-can-eat buffet and Mrs. Claus dazzles the dining room with holiday cheer. Children are able to visit Santa and get that all-important photograph as part of the experience. Now Through November 11th Get into Christmas Town for only $20 or Unlimited trips to Christmas Town for $49!!! This deal won’t last long! Click on Christmas for more details! Remember the best way to enjoy Christmas Town and other park events and attractions all year long is through the newly-enhanced Busch Gardens Williamsburg Membership Program. Guests can receive unlimited visits to Busch Gardens, Howl-O-Scream and Christmas Town for as little as $9.99 per month. For more information, visit www.buschgardens.com/joinBGW.